Most of my Friday evenings as a kid were spent at the ballpark. If my brother was playing, I could be found scrounging around under the bleachers for lost change to buy a few 5¢ smarties pops. For the record, you can make a racket with this strategy; I once even found a $20 bill that after a week of no one claiming from the little league ballpark lost and found became mine. Do you know how many smarties pops you can buy with $20?? Exactly 400. And a few cavities thrown in for free. Only after I was certain there was no more loose change to be found, I’d spend the rest of the evening on the tractor-wheel tire swing, kicking around the gravel ’til the sun went down. I once tried my hand at little league co-ed tee-ball, but as my dad puts it, I mostly played sports for the snazzy photo in uniform and the orange slice breaks. There’s no snack shack at the larger recreation center where my dad plays his men’s softball league, so we’d occupy our evenings on the double-decker play structure in the far corner of the park, where a fig tree hung low enough to share its fruit. It’s only now that I can label it as such – at the time, I’d never seen a fig that didn’t come smushed in the center of a soft newton. Back then, they were squishy green things that bled white goo when prematurely picked, which made for a mighty fun weekly organic play structure paint session. Figs = paint. 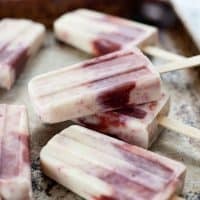 If only I could have imagined these honey roasted fig and goat cheese popsicles back then, I’d have spent my evenings harvesting fruit instead. And probably also eating far fewer Otter Pops. We’re talking 10+ pops/night as a teenager. Between those and the tongue tattoo fruit roll ups, I based my diet around food dye and corn syrup. 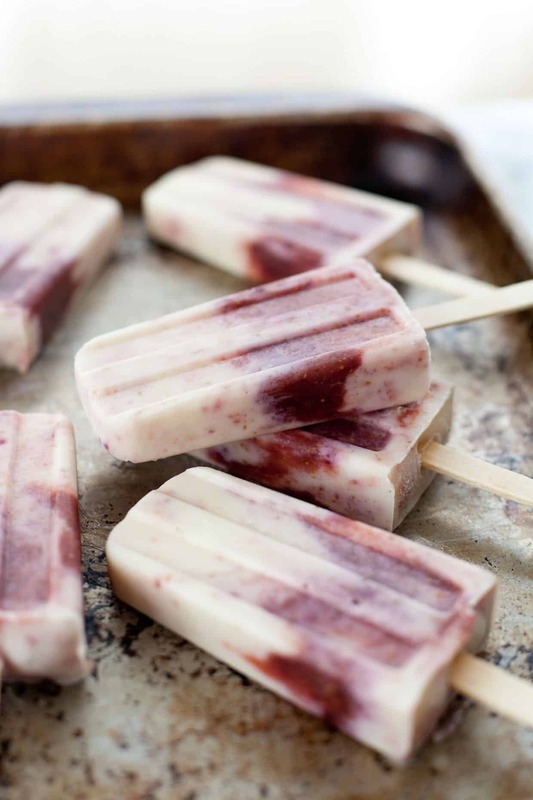 With only natural ingredients, these honey roasted fig and goat cheese popsicles are on the opposite end of the health spectrum. I should call them power pops. Non-fat plain greek yogurt, a drizzle of honey, a bit of goat cheese, and a basket of roasted figs. 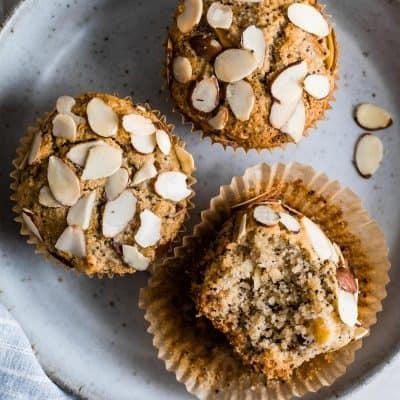 When you take your favorite healthy breakfast and freeze it, magic turns it into dessert. 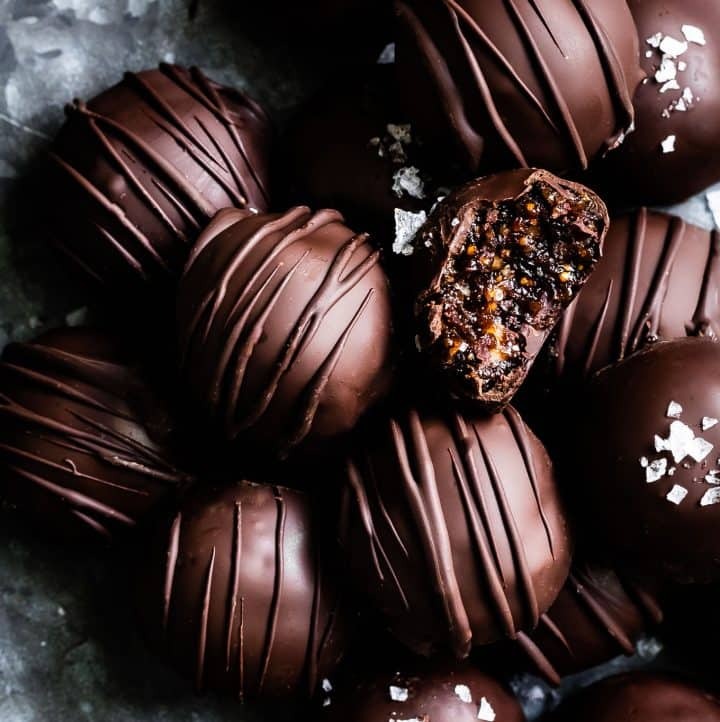 Which means you can eat a couple of these before nine am. Breakfast dessert. Rumor has it there’s a fig tree in our backyard, but apparently the rats/raccoons/neighborhood cats dine on them before we see a single one. I’ve never watered said tree, so it’s possible you’ll debunk the myth of the disappearing figs in a quick survey of our yard. Sidenote: I can no longer say “apparently” without hearing this kid in my head. Back to the frozen treats. 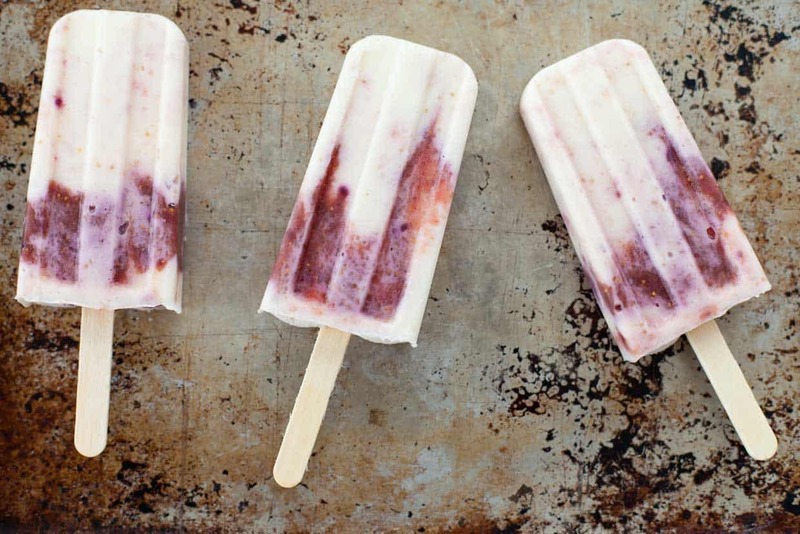 One glance at my blog feed indicates that popsicles are the cupcake or macaron of summer 2014. 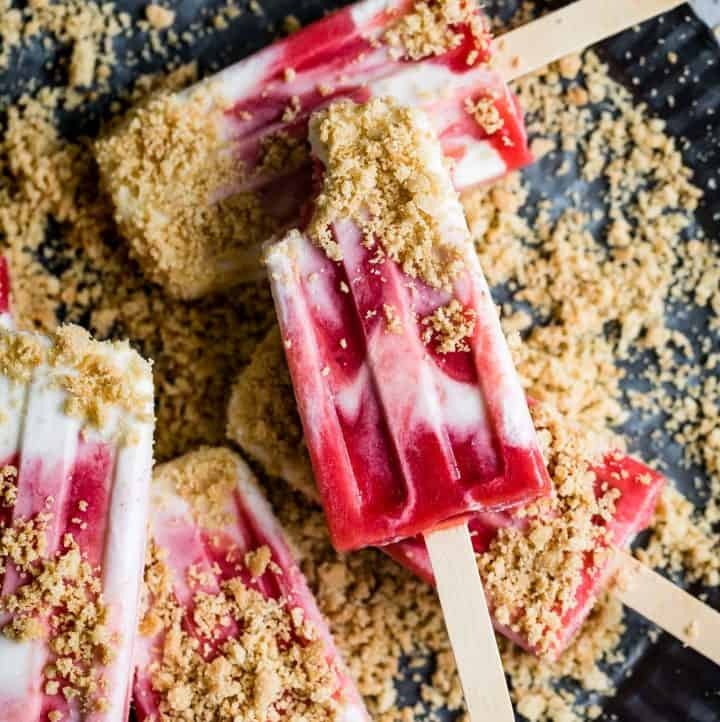 When all the cool kids are busting out healthy drippy sweet frozen treats left and right, I jump on the bandwagon and order my very own popsicle mold with rush delivery. Actually, I put it in my cart and hesitated on it for a few weeks because I remember popsicle-making being a pain-in-the-rear as a kid. Those plastic sword-looking sticks always made sure you’d never get your popsicle out unless you melted it first. 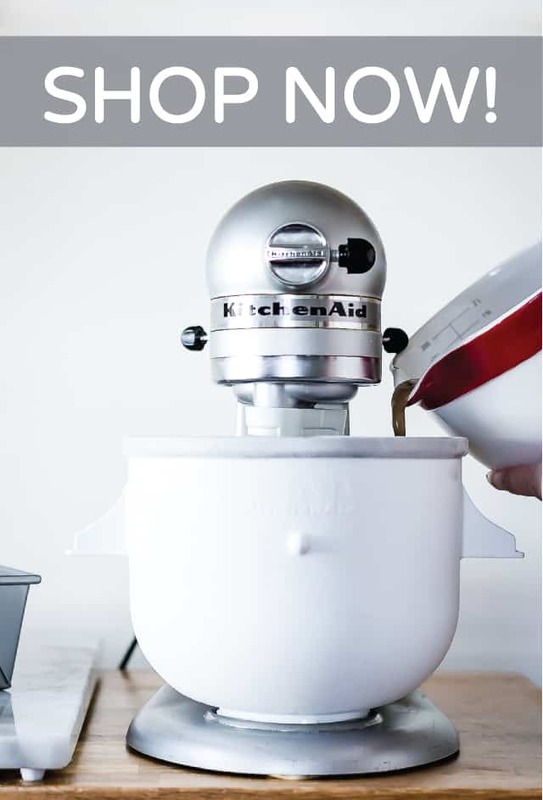 Plus, after one wash, you’d inevitably lose four of the six handles to the back of the tupperware cabinet, so you could only ever make two at a time anyhow. The popsicle mold of today is extra easy. Guys – don’t drag your feet! 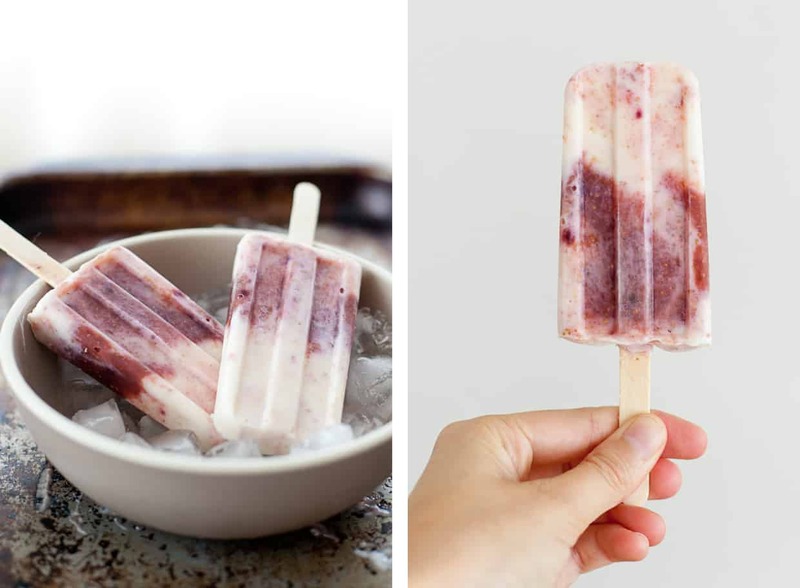 I wasted three weeks where I could have been eating homemade popsicles three times a day. 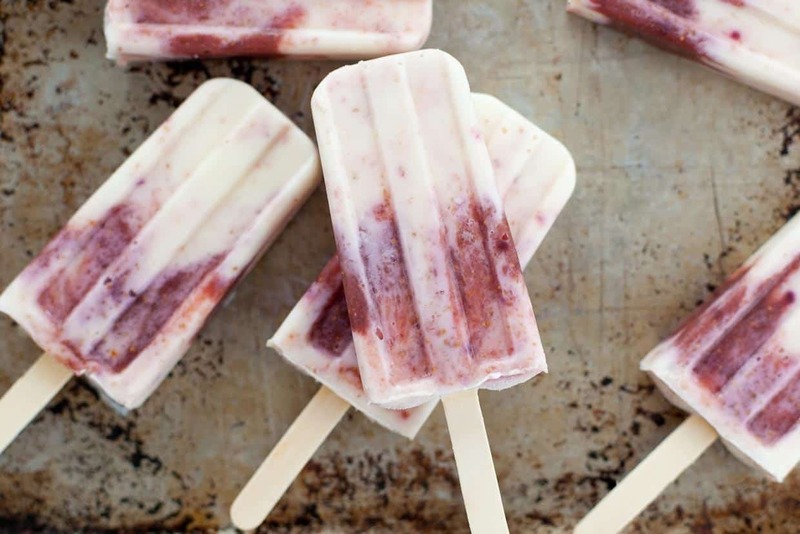 These honey roasted fig and goat cheese popsicles are the bees knees. They’re extra tart, a tad sweet, with a rich black mission fig flavor swirled throughout. Lay the sliced figs cut side up on a parchment-lined baking sheet. Drizzle 1-1/2 tablespoons of the honey over the figs. Broil the figs for 8 minutes. 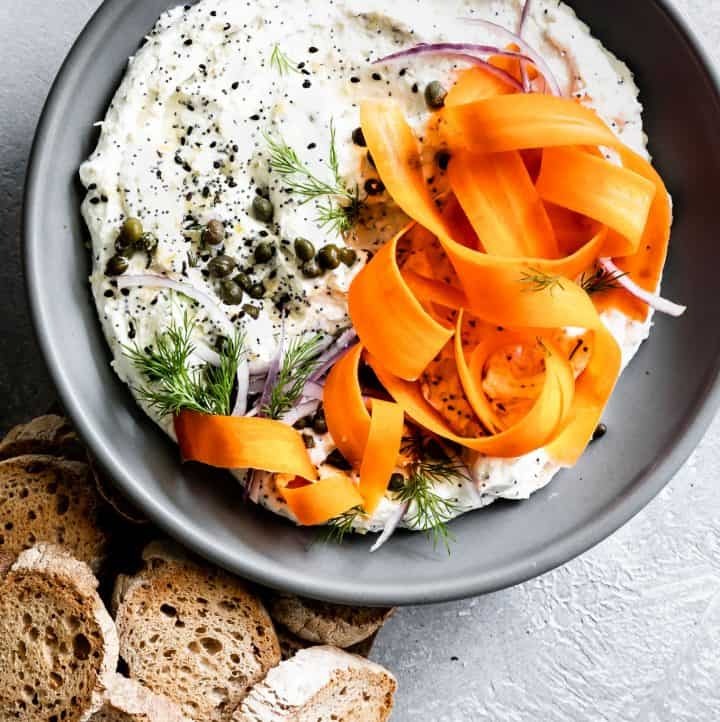 Meanwhile, whisk the goat cheese, remaining 3 tablespoons of honey, and greek yogurt in a medium bowl until completely smooth. 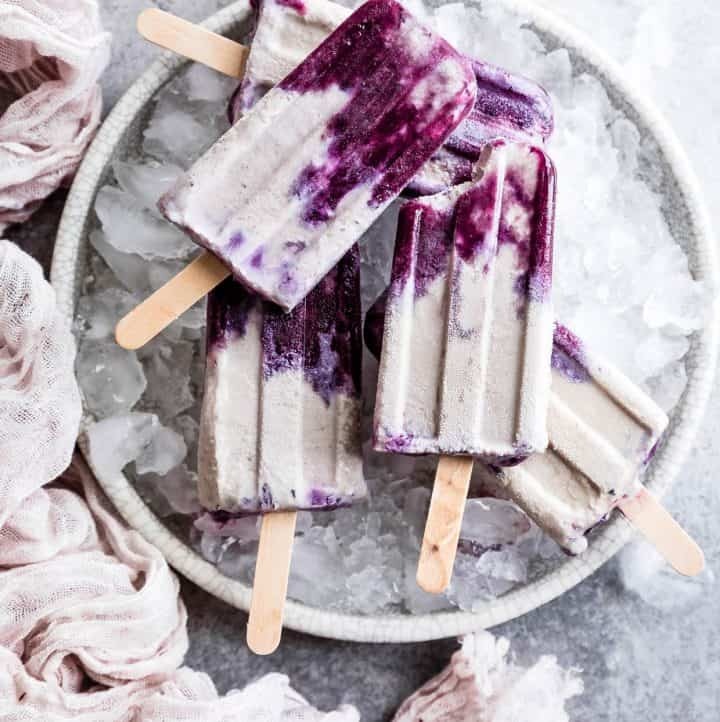 Using a funnel or a measuring cup with a pour spout, fill each popsicle mold just under halfway with the yogurt mixture. Divide the fig purée among the popsicle molds. Optional: use a chopstick or the back of a fork to swirl the fig a bit with the yogurt. 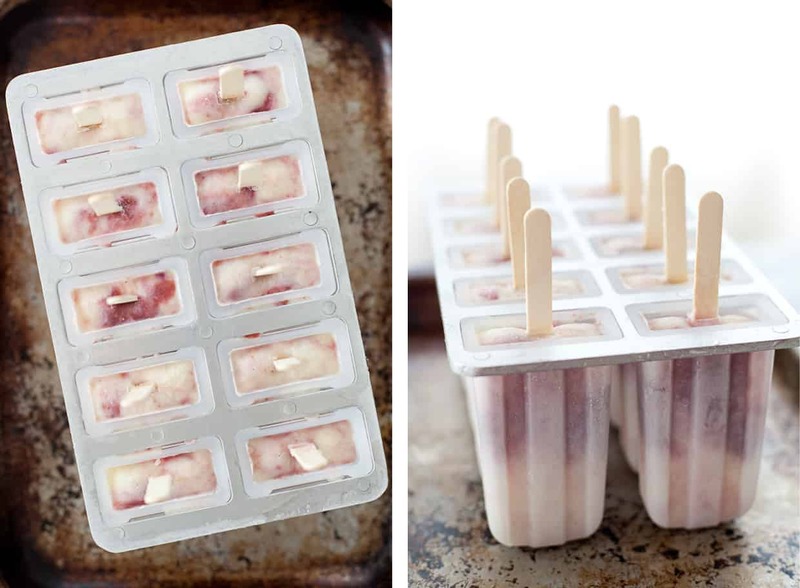 Top each popsicle mold with yogurt, until almost full. 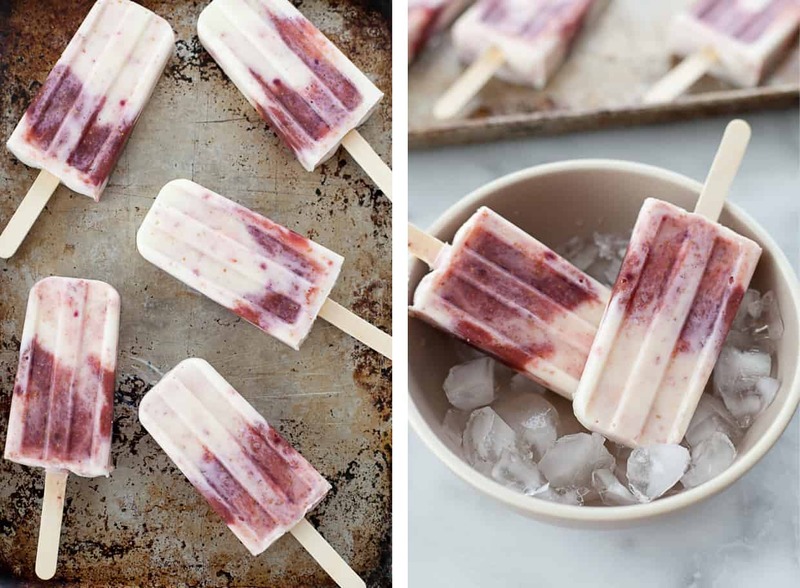 These popsicles look soooo good! 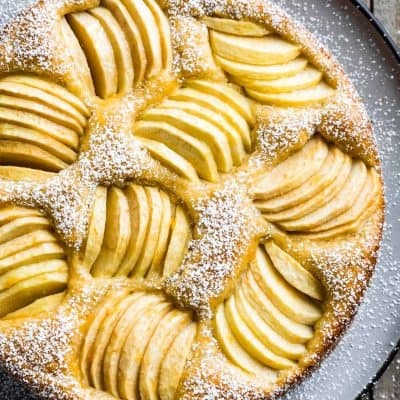 I can’t wait to get some figs and give this a try! You’re too sweet, Annie! I didn’t even let you get close enough to judge my fig tree, but instead just pointed in the direction from afar. Maybe tomorrow I’ll go investigate the tree:) Had a lovely evening with you! I so enjoy reading your blog, leaves me smiling every time. 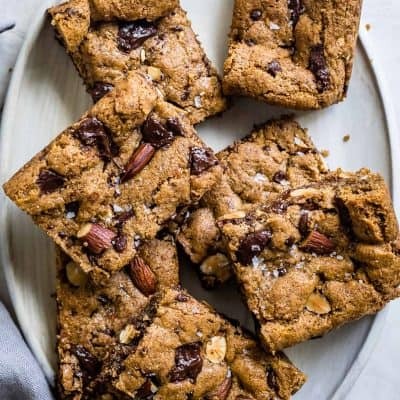 These sound ridiculously delish. I have had that very popsicle mold in my amazon cart at least three times and have put it back every time. Must bite that bullet soon. Also: DO IT! I have round two of popsicles in the molds already and a round three planned and ready to go later this week. 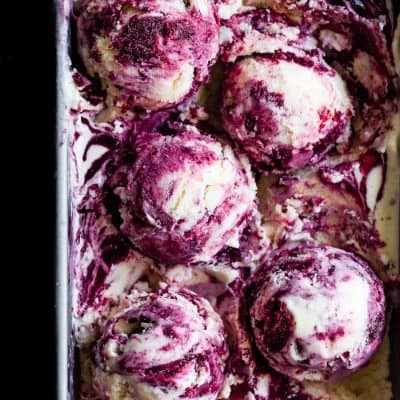 You get all the creative flavors of ice cream, only 100x easier! Yum, can I have one when I’m out in SF this weekend??? Well, you could. Except I ate them all. Right now I’ve got some strawberry mint yogurt ones in the molds, and another surprise flavor coming up after that. How about I promise you can have a homemade popsicle, but I can’t promise what flavor it’ll be yet? I love figs so much! 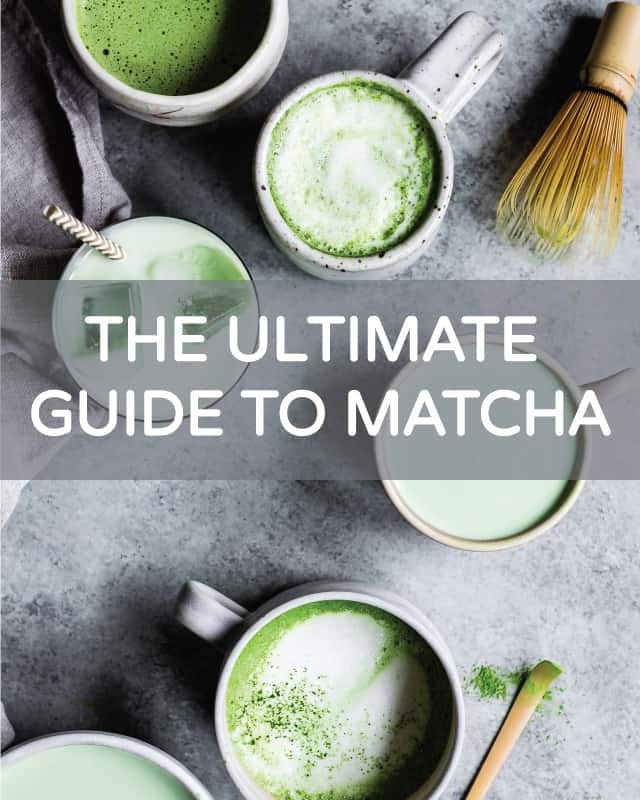 Tory Putnam introduced me to your blog and I’m obsessed. Wow! Thank you so much Shikha! Figs are such an underappreciated fruit, right? Pinned, pinned pinned! 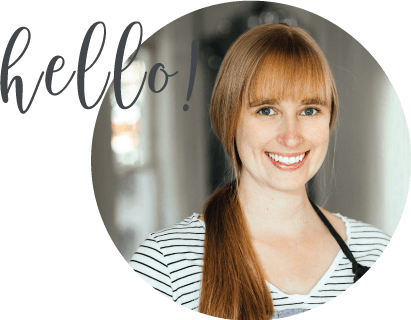 I love the idea of goat cheese and popsicles and I already have the molds! OMG, I love everything in these!! Thank you, Tracy! Figs are one of my top favorites fruits! Oh my wow, these popsicles look gorgeous! Honey roasted figs and goat cheese sound amazing together! 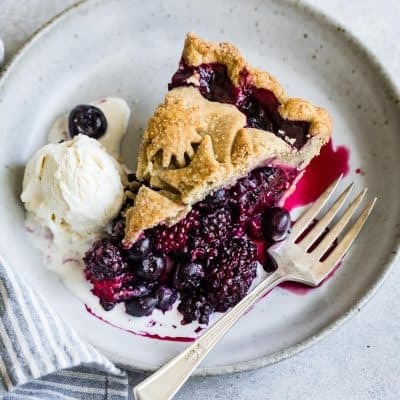 That’s awesome that you have a fig tree in your backyard – sorry to hear that neighbourhood animals run off with your bounty before you see one though. Thanks, Kelly! I’m also 100% convinced the raccoons are dining on our tomatoes. I keep finding my ripest prettiest tomatoes with BITES out of them. So rude, right?? Right?! Figs were meant to be served with goat cheese. Oh! I hope you get one and figure out how to keep it safe…and then invite me over to pick them all;) Thank you, Allison! Hope Lucas’ marathon goes well!! What an AMAZING idea for popsicles! I can’t wait to make these with my girls. 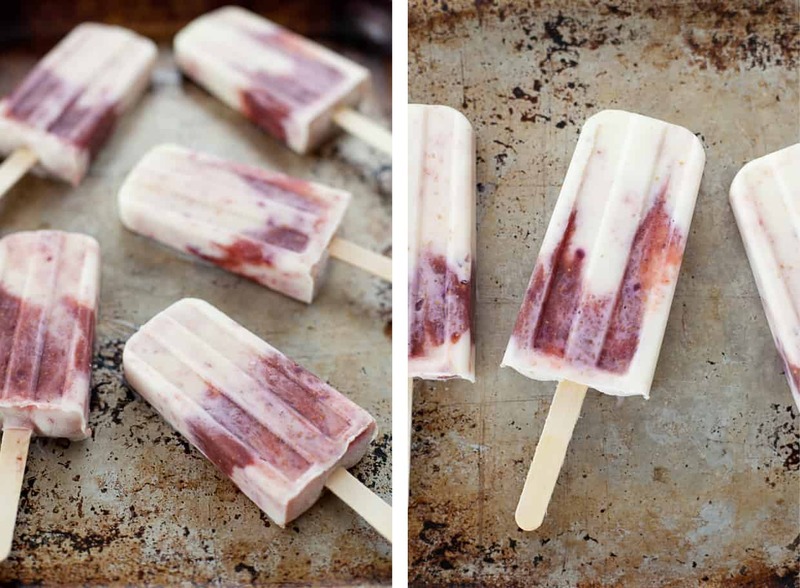 You’ve combined all of their favorite flavors, and popsicles are always a hit. Aww – yay! Figs are perfectly in season right now – I need to make these again!